Calories are a unit a energy that we intake through food and burn them while doing some physical activity. The calories that we don't utilize are deposited as fat in different parts of body. Our body deposit this fat to use it in case of some emergency. From past few decades people have started taking calories seriously as now we know that this extra fat is home for some serious diseases such as hypertension and stroke. Lets understand the calories in a better way. To do so we have answered some FAQs mostly asked about calories. Is there any difference between Calorie and calorie ? Yes, 1 Calorie = 1000 calorie . If you have not heard about this fact then it might be surprising for you. The "C" and "c" makes the difference. In short Calorie is written as "Cal" while calorie is written as "cal". Calorie "Cal" is also known as Food Calorie. Prior to 1950s, when SI system was adopted by world, calorie was a unit of energy. One calorie was that energy that can rise the temperature of 1 gram water by one degree Celsius. After SI system was adopted, joule became the unit of energy. But still people use the unit calorie to measure the amount of energy, especially when it comes to body and diet. How do i know how much Calories i need for a day ? Different health services and medical research facilities mention different number of calories required by a human being to work properly. It ranges from 2000 Calories to 2700 Calories. But basically it depends on your gender, age, weight and activity level. A hard working carpenter needs more Calories than a software developer. 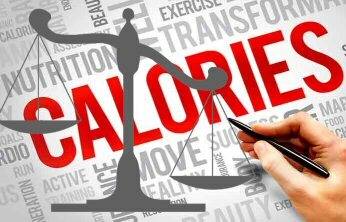 If you want to know how much Calories you need in a day then you may use the Calorie Calculator. How Calories turn into fat ? Our body have a unbelievable mechanism for every thing. To know about it read how our body turns calories in fat . How do i burn more calories to burn the extra fat ? Eat less calories and burn more. Its the simplest solution to this problem. Fat is deposited in our body as a security measure to provide backup when body falls in shortage of energy. So if your daily consumption is more than intake, then automatically body fat will start to reduce. But you can't reduce all fat in a single day. More difference between calorie intake and consumption can also cause side effects. So do it slowly on a regular basis. Best physical activities for burning the extra fat are running, jogging, weight lifting or other exercises that suits your body. Can i control the Calorie intake? Just control you Diet. Intake of Calorie can only be controlled through diet. But you think that you can't make it to something lesser, then increase your activity level to burn the extra Calories (as mentioned in the previous FAQ). Empty Calories are those calories which don't have any nutritional value like protein, vitamins or carbohydrates. Food items with large amount of sugar, fat and salt are known as foods with empty calories as they don't have much nutritional value. Ice-cream, soft drinks, cakes, cookies and sweets are best example of empty calories. Small amount of empty calories are of no harm, but when taken in more quantity then its harmful. Sometime people misunderstand Empty Calories as foods with less calorie value, while these are food items with more than required calories. Balance is the key to a healthy life. Eat a healthy and balanced diet full or nutrients with right amount of Calories and maintain a good activity level to burn them. If you make a good balance among them, then you have got the key to a healthy body for a lifetime.